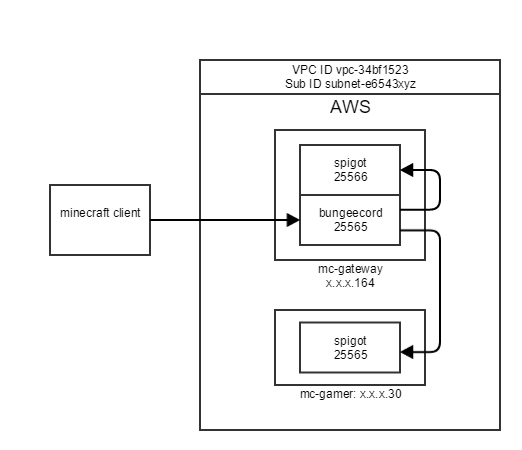 This is an account of how mc.fnarg.net was setup on Amazon as a distributed cluster of Minecraft nodes. We logged into the AWS console and went to the EC2 console. Try https://console.aws.amazon.com/ec2/ and you should be redirected to a region. Then we created two t2.micro instances. Each instance was created with an image size of 8GB. The linux distro was Ubuntu 16.04 LTS. To complete the setup we connect to each instance as follows. In this case we are using a Mac, you can use Putty on Windows. Once we are logged on then we prepared each instances by installing some prerequisites. Next we added a minecraft group and user. This just adds a bit more security by separating process from the ubuntu user. And finally we started our favorite window manager to allows us to keep things running once we logout. Screen needs the script command because we have done su. After a while the build process completed, so we had a look at what it did. When Spigot upgrades we will do this again, so to keep things neat we run the minecraft server somewhere else. Next we copy a start.sh from Spigo and fix the permissions. We have to edit server.properties too. This is because our clients will connect via the gateway. And on the mc-gateway node only, we change the port so we don’t clash with the gateway. Run ./start.sh once, update the eula.txt and we’re done. First make sure we are connected to the mc-gateway instance. As with Spigot we need a start script to run it. In the config.yml we update the servers section to reflect our architecture. And lastly we run the gateway and connect from our Minecraft client. 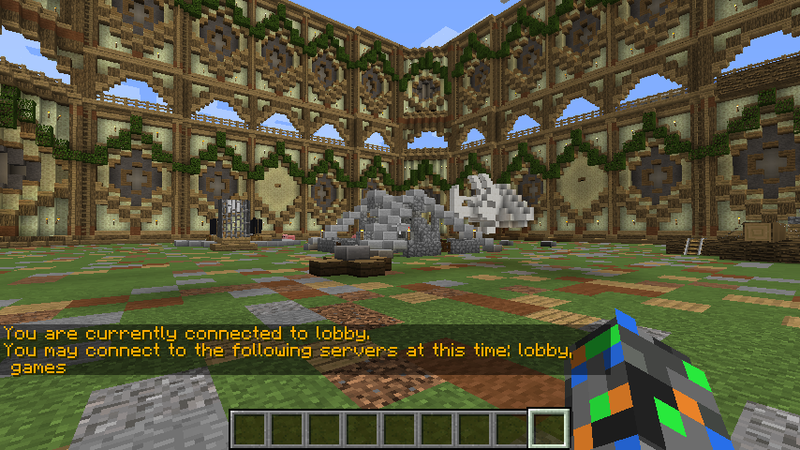 Our lobby and game nodes are shown as options when we hit /server.